Small side extension to a house Hawkenbury, Tunbridge wells. The bricks are hand made clay to match the existing High Brooms bricks. 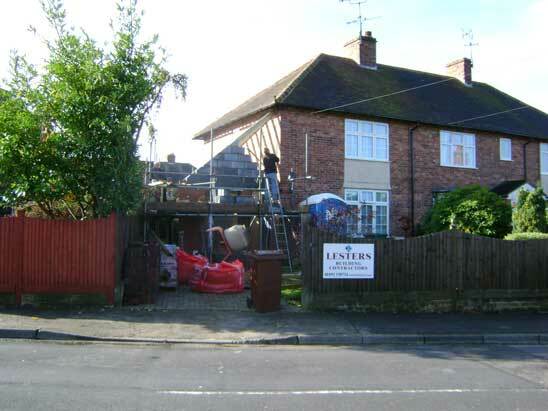 This was a ground floor extension to provide disabled access to the house and welfare facilities. The extension was to the side of the dwelling and had to have an interesting dismissing ridge height as the building was built to be parallel with the properties boundary and not the existing building. All the building materials were purchased to match the existing construction as closely as possible and include the use of reclaimed roofing tiles. Part of the project was vat exempt as it provided disabled facilities. The extension provided a new front entrance hall with room for a wheel chair to turn with access to ground floor bathroom with a second door way to make access to the back garden easer.